Cities are among the most quickly evolving environments on the planet. Over half of the world’s population lives in cities today, and knowing how to manage these urban areas as they grow, so that we can both cherish our history and yet help them to flourish socially, culturally and economically while they meet our needs, is a complex and monumental task. We examine these questions in conjunction with Habitat III, the United Nations Conference on Housing and Sustainable Urban Development taking place in Quito, Ecuador in October 2016. The United Nations General Assembly decided to convene the Habitat III Conference to bolster the global commitment to sustainable urbanization, and focus on the implementation of a New Urban Agenda. World Heritage sites are inevitably part of this equation. 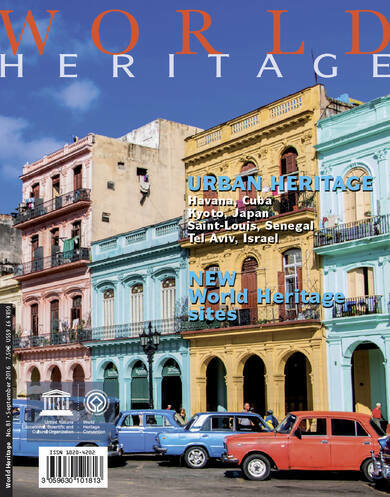 There are many cities inscribed on the World Heritage List, and we will explore a handful of them here: Havana (Cuba), founded in 1519 by the Spanish, and today a sprawling metropolis; Kyoto (Japan), the centre of Japanese culture for more than 1,000 years; Saint-Louis (Senegal), located on an island at the mouth of the Senegal River; and Tel Aviv (Israel), whose White City was constructed from the 1930s through the 1950s. Each of these cities was shaped by the cultures that created them and the roles they have held throughout their history. 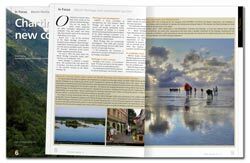 In this issue we touch on the ways these distinctly different cities have developed, and effective approaches to managing them. We are pleased to include an interview with Jorge Castro Muñoz, Mayor of Valparaíso (Chile) and Vice President of the Organization of World Heritage Cities. Valparaíso is a historic port city with a vernacular urban fabric dating from the 19th century, and Mr Castro Muñoz shares his insights into preserving and managing it. 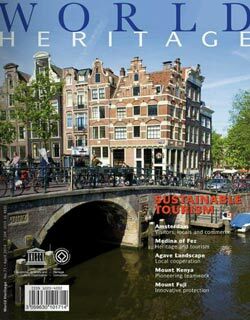 We also present in this issue the sites that were inscribed on the World Heritage List in July 2016, during the 40th session of the World Heritage Committee in Istanbul (Turkey). Twenty-one properties were added to the List, bringing to 1,052 the number of sites that we have all promised to protect for future generations. As we enter a new urban era, we should regard culture as a powerful ally in our efforts to address key global challenges, from the financial and refugee crises to climate change, poverty and inequality worldwide. Tel Aviv is a new city, characteristic of the 20th century. It is the most dynamic of all large urban settlements in Israel, a city where tension between “living city” and “maintaining the status quo” continues to exist. Modern Kyoto is a thriving metropolis and a shining example of urban heritage conservation in a developing context in Asia Pacific. A core challenge for Saint-Louis is to ensure that the site’s urban heritage values are recognized by all communities. The overall sense of architectural, historical and environmental continuity makes Old Havana the most impressive historical city centre in the Caribbean and one of the most notable in the American continent as a whole. Application of the approach centred on the historic urban landscape encourages the development of new policies and advocates a philosophy of development based on the role of culture and heritage. New World Heritage sites inscribed during the 40th session of the World Heritage Committee held in Istanbul (Turkey) in July 2016. Interview with Jorge Castro Muñoz, Mayor of Valparaíso, Chile and Vice President of the Organization of World Heritage Cities. IUCN: Nature-based solutions to urban challenges.